Mick Green, organiser of the “Welsh Government : Save Cardigan Bay!” petition and campaign has provided an update, 24th August 2016: “Thank you for your patience. We have heard nothing from Welsh government but are expecting a decision in the autumn. It seems nobody in Welsh Government thinks the environment is an issue to care about. I will post further updates as soon as we hear anything. Thanks again for all of your support to date. The Welsh Government are currently consulting on proposals to open up Cardigan Bay to Scallop dredging. This is a highly damaging method of fishing which destroys the seabed. 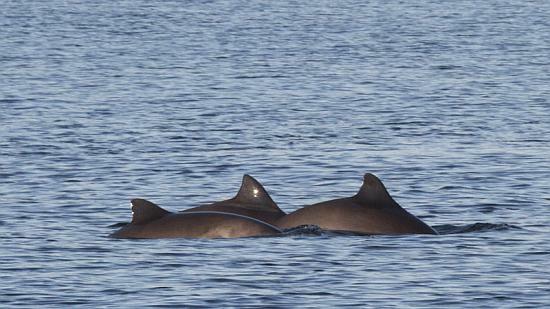 Much of Cardigan Bay is supposedly protected as ‘Special Areas of Conservation’ yet the seabed in these areas is under threat and the species that rely on a productive ecosystem, such as bottlenose dolphin and porpoise, are also under threat. We therefore call upon the Welsh Government to withdraw their proposals and protect the habitats of dolphins and porpoises. Please sign the petition and tell the Welsh Government that such destructive fishing methods are incompatible with protected areas. Marinet notes: The article by George Monbiot, see link above, provides a first class insight into the issues and situation confronting Cardigan Bay and its marine ecology.